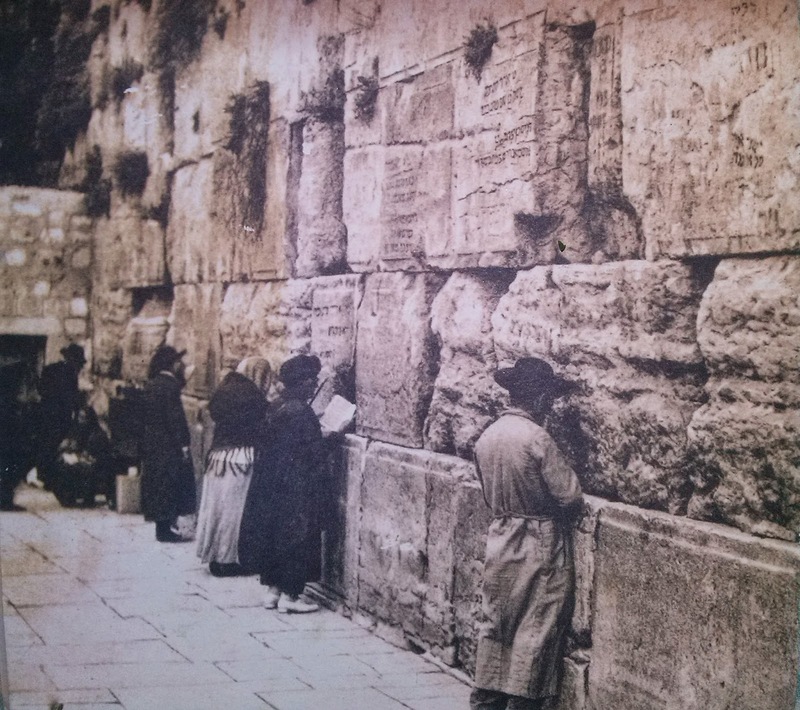 I am sure that you, like me, have seen photographs from early in the 20th century, if not earlier, showing how men and women, even without the separation partition, aka Mechitza, were standing at the Kotel in a two distinct groups. This is, it is claimed, proof that prayer at that site was not as the custom of the Women of the Wall. Now, on the one hand, my position is that the Women of the Wall should be allowed to practice worship customs at the Kotel, as long as (a) they do not make too much distracting noise and (b) they are dressed modestly (we do not need a repeat of the 1756 Lanckoronie Affair). On the other, I think it irrational that a court in Israel would declare a custom of 20 years, observed but once a month for an hour, to override a custom of many hundreds of years 24 hours a day daily. Yes, they are all posing for the photographer but nevertheless, even pictures cannot be trusted. Or perhaps there really was relatively mixed prayer at the Western Wall. And yes, I know that the Women of the Wall do not prayer men and women together as one quorum group, except when in the vack of the main Plaza area. as i see no tallis or tefillin , it is likely they are just saying tehillim. also there is no minyan. if they were praying it is without a minyan anf=d hence no separation. Think of men praying on El Al. is that a chiddush? that one can pray in the close company of a female as long as it's not in a minyam?